Yesterday my partner and I took a trip to Manchester’s Forbidden Planet. 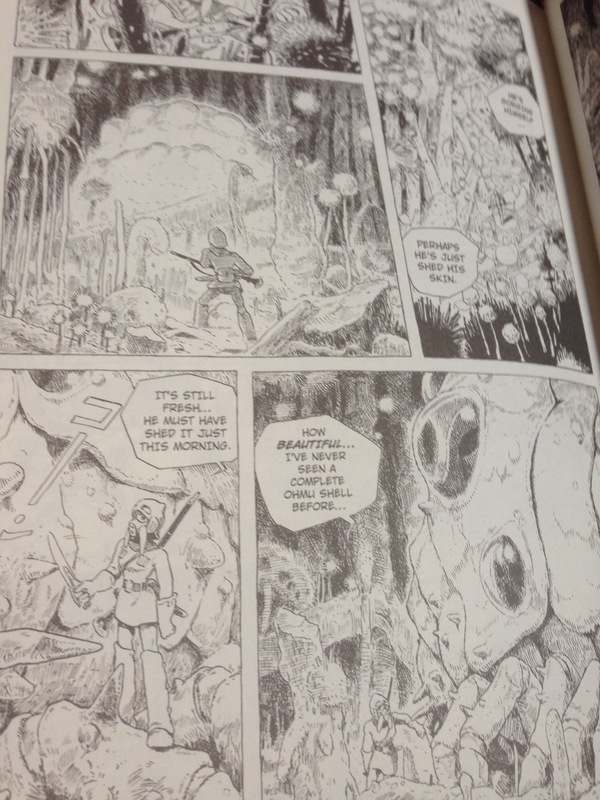 They have a massive selection of comic books downstairs and for the first time since I visited Japan I found copies of Myazaki’s Nausicaa and the valley of the winds! 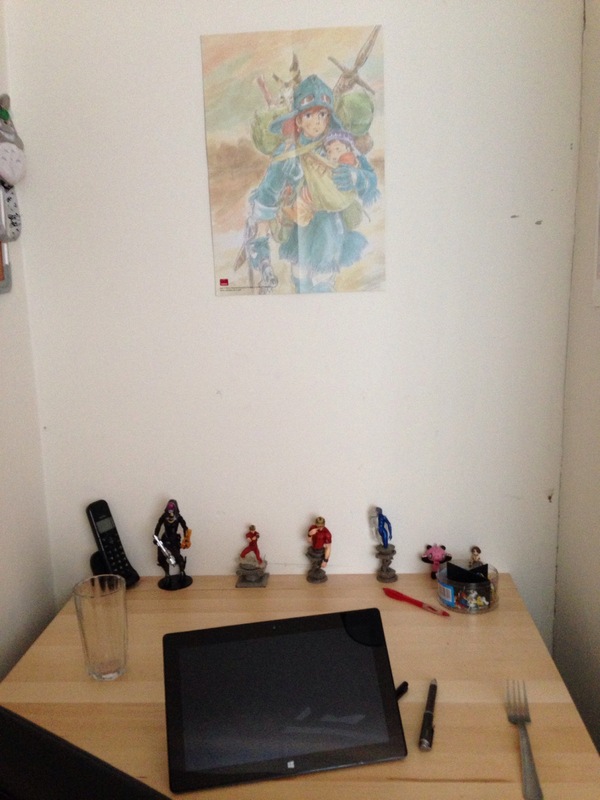 The books come in a nice big box that keeps them together and also with a lovely water coloured poster (double sided) which I’ve chosen to put above my desk! They’re both hard back and pretty heavy which restricts reading them to bed or couch not public transport (not complaining) I’m only a little way in and I’m living it already, there are already some differences from the film and from the size of the books I expect there to be many more additions , Nausicaa herself is so amazing so far though. Myazaki writes amazing female characters, she’s wise thoughtful and strong 🙂 the novel also points out her father wanted a son but already she’s stomped all over gender roles! Sweet! 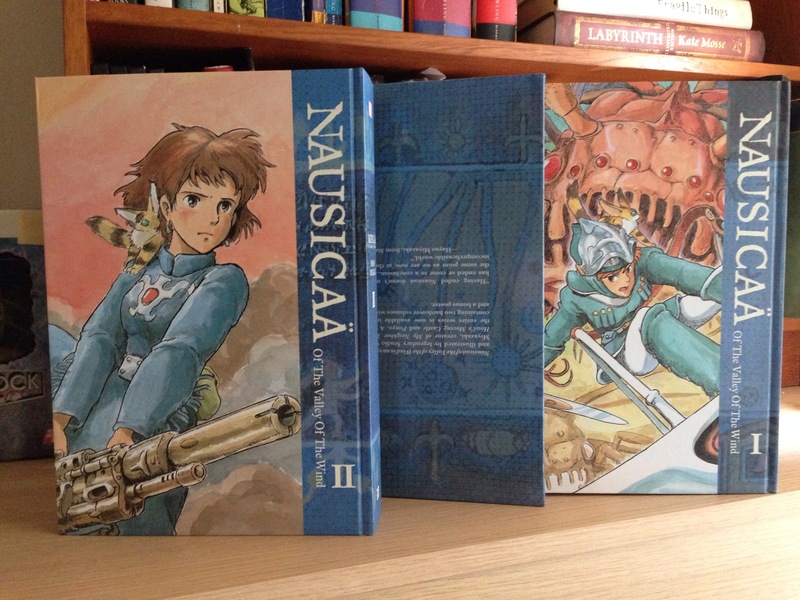 I recently rewatched Nausicaa and was thinking of getting the graphic novel(s). I would definitely recommend the special edition rather than individual paperbacks if you do, it works out cheaper than buying them individually and as you can see the set looks lush!